Braun Series 7 vs 9: Which is Better? Braun Series 7 vs 9: Does New Really Mean Better? 3 years. How much could they mean to a person? To you? To us, this period of time might not mean that much. But for many rapidly changing consumer trends? It’s the world. And shavers are not an exception. We had the Series 3 electric shaver and BOOM!, before we even realized here we’re – at Series 9 on Amazon.com. 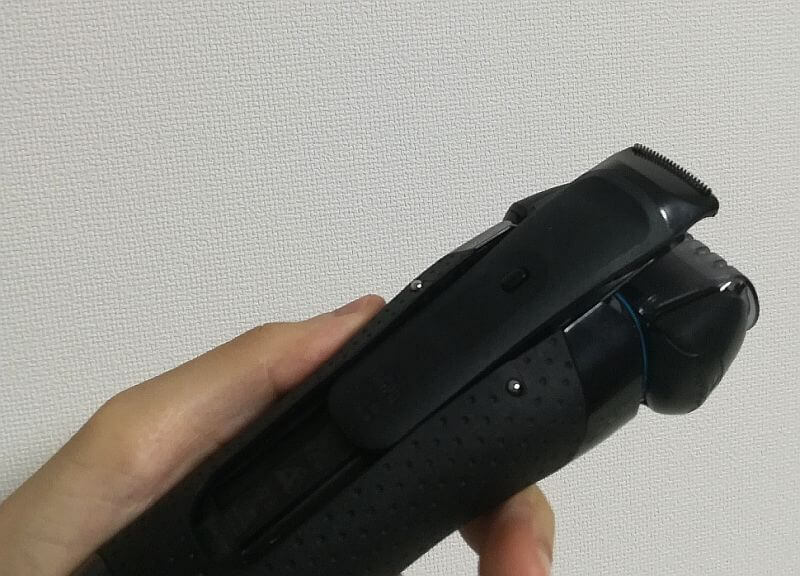 A gadget considered the finest art of electric shaving. But is it? Does it deserve an upgrade from the Series 7 on Amazon.com if you already have one? 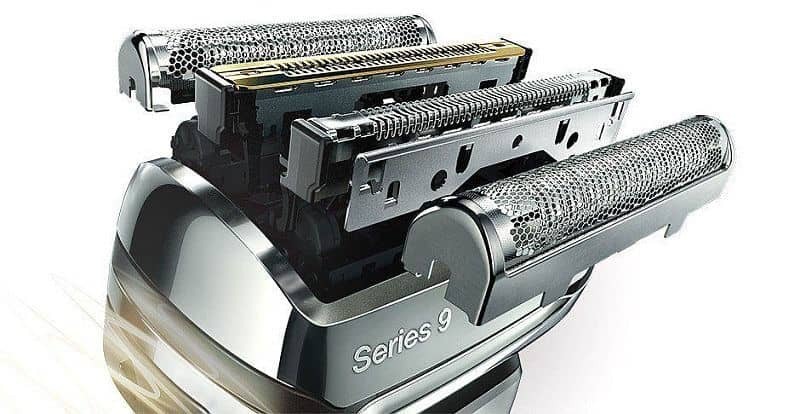 For newcomers, does this new Series 9 beauty deliver you the Real Deal Close Shave? Which is exactly why I’ll have a few honest words with you regarding the Series 7 vs Series 9! In order for something to cut hair, what do we need? That’s right: blades. Oh, and they have to move at a certain speed. And, if possible, in different directions. This is what separates the pros from the pretenders. A powerful motor will provide a smoother, closer and faster shave than one with a weaker motor that doesn’t provide enough CAM. Otherwise we’d get a poor shaving session and nobody who just spent a juicy sum of money wants to see that. Cutting actions per minute: Our Braun series 7 vs 9 speed measure, the CAM paints a significant contrast. While Series 7 fares with a good score of 30,000 cutting actions, Series 9 blows it out of the water with 33% more at 40,000 CAM. 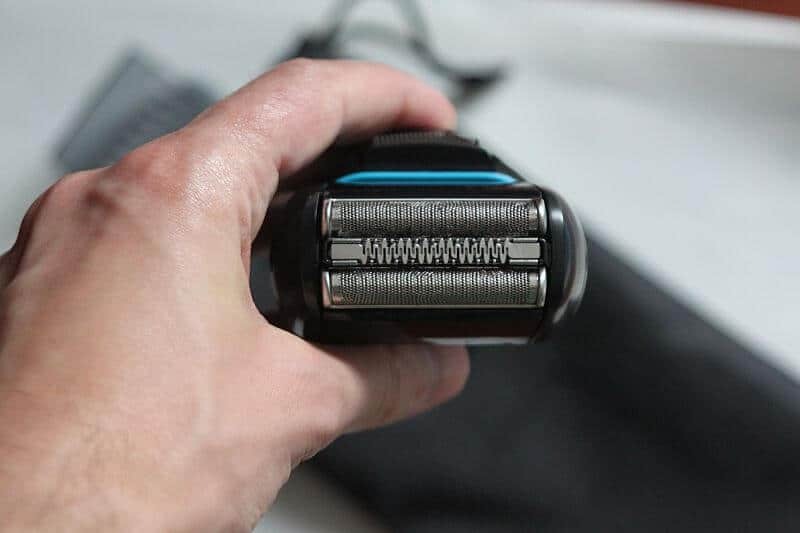 Basically, this means you’re getting a faster and closer shave. This is not some mild 10-15% increase on a previous model. We’re talking about a pace that’s 1/3 faster! 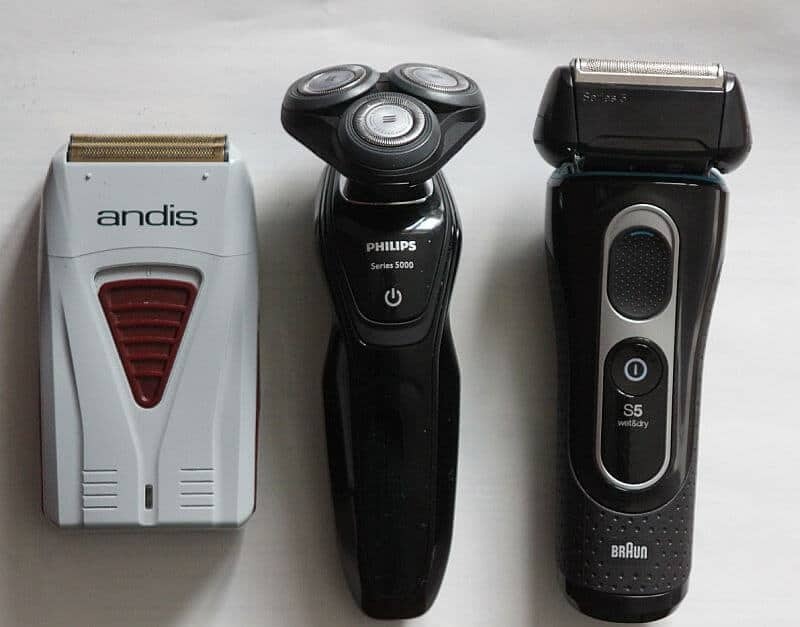 Basically, this is what Braun call the ‘4 shaving elements’ system. Two OptiFoils, a protective SkinGuard, and the ActiveLift trimmer for flat hairs. Why flat hairs? Because these stubborn little rascals are one very good way to have your daily dose of ingrown hairs. ActiveLift literally lifts these flat hairs, so the foils can cut them without skin irritation after that. It’s a two-step process that Braun has perfected with their lineup. When you get a wet shave at a barber, he uses a brush to apply the lather. While working it around over your skin, the hair is getting lifted up. Then the foam keeps it up so the razor can cut underneath it. It is the same concept with the ActiveLift. As the foil moves over the hair, they are kept up away from the skin so the blades can get as close as possible. Note: Series 5 uses SensoFoil instead of OptiFoil, but to me, they have the same effect. Series 9 is structured a bit differently. First of all, there’s one new element and that’s the Direct&Cut trimmer. It takes care of hairs that grow in different directions. As you can guess, as a result the Series 9 shaving head is a bit bulkier. But a very, very crucial factor we’re looking at here is the difference in the directions in which the blades move. Series 7 shaves in 8 directions, which is already pretty good. People will thicker or curly hair will be more than satisfied – a lot of older shavers like Norelcos support only 5-6 directions. With Series 9, the Contour FlexHead covers 10 directions. Paired with the newly introduced Direct & Cut trimmer, this is a godsend for gentlemen whose hair has no rules in how it grows out. How do these directions actually play out? The biggest convenience difference I’d like to mention is with the wet & dry shaving feature. Summed up in short, a big portion of the Series 7 lineup doesn’t support wet shaving. However, the newer 7865cc does. That’s why it’s also very popular! But for those of you who care, knowing that the Series 9 models generally support shaving with a gel/foam/whatever might be a deciding factor. With the Series 7, you could also pick your preferred shaving speed. Series 9 doesn’t have this option. To be honest on Braun series 7 vs 9 though, foil shavers are meant to operate quickly and reach thousands of CAMs as I mentioned initially. Making a foil shaver go slow ruins the whole idea. 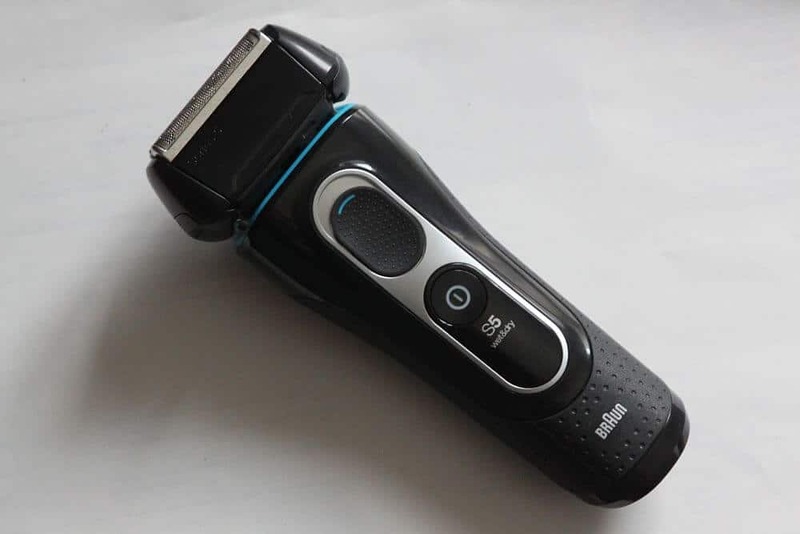 A lot of the appeal of an electric razor is getting your shave done quickly. Negating that doesn’t make a ton of sense. But, also you end up having to go over the same spot many times to get all the hairs if the blades are moving slowly. It’s only acceptable if there isn’t proper protection that ensures gentle shaving. Given the fact that Braun are the kings of smooth shaving, going slow with their shavers was a questionable options anyways. Series 9 definitely looks more modern. Its body is sleek, thin, more ergonomic and presentable. I have never liked how Series 7 looked, to be honest. It was even worse than the supposedly ‘inferior’ Series 5. In fact, Series 9 is somewhat of a return to the Series 5…with upgraded parts and vision, of course. Series 9 shavers might look as if they were made from metal, but as you can guess, they’re not. You can get a more matte model if you’re concerned about smudges. The shiny Series 9 variations are quick to attract fingerprint marks. Another big difference is the LED display you get with the new shaver family. It looks pretty cool and modern. To me that’s more convenient. In any case, though, I have never gotten to use the built-in trimmer, as I use a standalone grooming tool for my trimming needs. These pop up little gadgets aren’t nearly as effective as I’ve wanted them to be. I also have thick hair, so if your hair is thinner the pop up trimmer might be strong enough. In any case, it is nice to have it even if you plan to use a dedicated trimmer to trim the edges down or line up your beard. 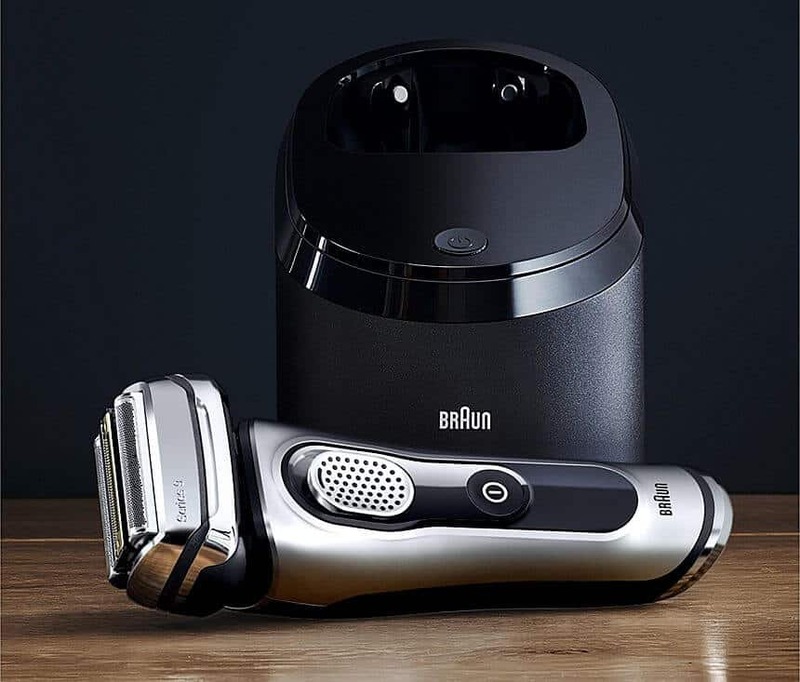 There is only one big difference when it comes to maintaining your Braun shavers. That’s right: the cleaning system. Lubrication, cleaning and sanitizing is one thing…But also having your personal dryer inside that shaving station? However, this is only of importance to those of you who want to buy a shaver + cleaning station bundle. For some people this is a tad too expensive and they only get the grooming tool sans the maintenance sidekick. Not blaming you if you do so. If you want to have Braun’s Cleaning Center, though, Series 9 wins over the 7 major time. The Lithium-Ion battery has always stayed the same. 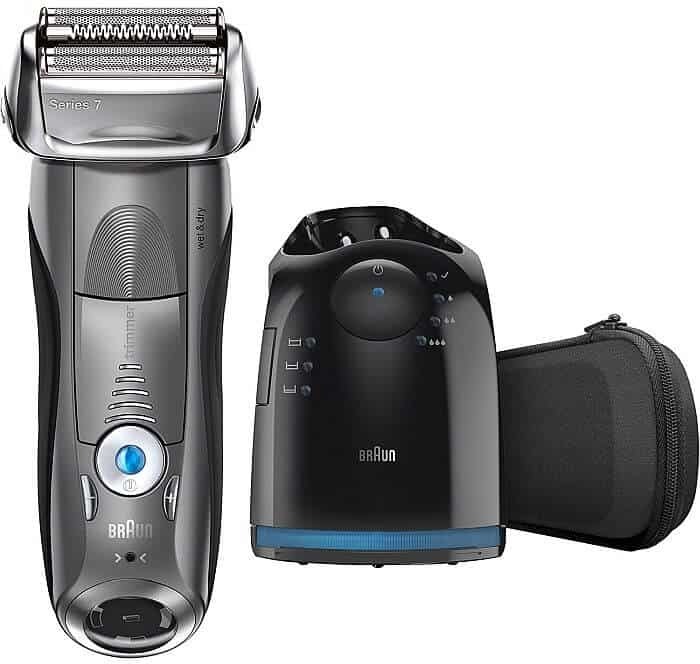 Both shavers will provide you with 50 minutes of runtime on an approximately one hour of charging. I think 50 minutes is long to stay as the industry’s standard. Why? Considering how fast new rotaries and foils move, I’d be shocked to see any Li-Ion that can support this for more than an hour! Is going for the higher end worth it? I’m not keen on saying that something has to be bought just because it’s the latest model. That’s why I’m currently having fun with testing a lot of older shavers/clippers along my newer models. And guess what: a lot of them do just fine! Similarly on Braun series 7 vs 9, if you already own a Series 7 Braun, I don’t really recommend switching to the Series 9 just because. Sure, there are differences, but for general shaving purposes the extra money you’ll spend if you have a working Series 7 aren’t worth it. Yes. The Series 9 is the best Braun up to date. It’s the most powerful model, it shaves slightly quicker than the Series 7, and looks way more modern. In all other cases, Series 7 from Amazon.com – or even Series 5 from Amazon.com is a good enough choice.